Candles are a real weakness of mine. In my living room you will find a unit that is literally covered in candles and even though there are lots, I still feel the need to continually add to my ever burgeoning collection. 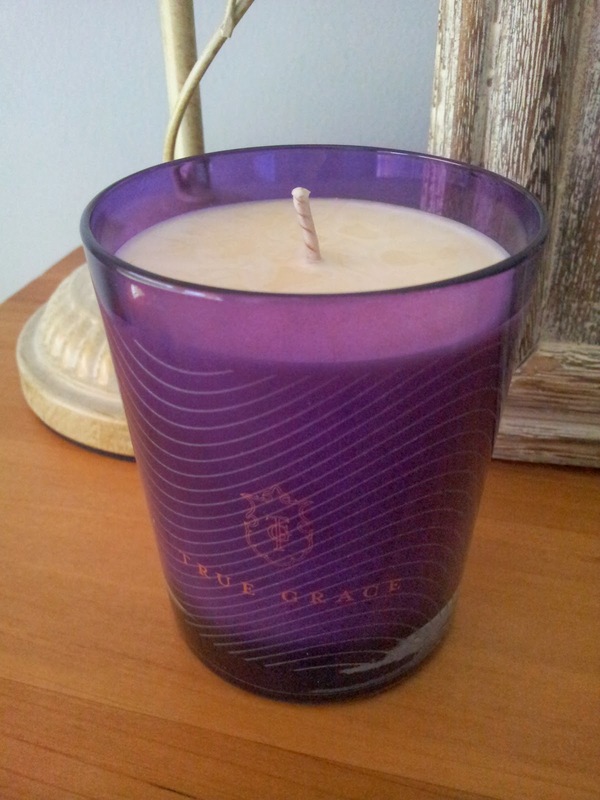 Today's candle is by True Grace and it was the first time I had tried this brand, after seeing it on lots of sites and hearing great things I decided to purchase one - Curious No 58 was the winner! (It took many hours to deciding though). 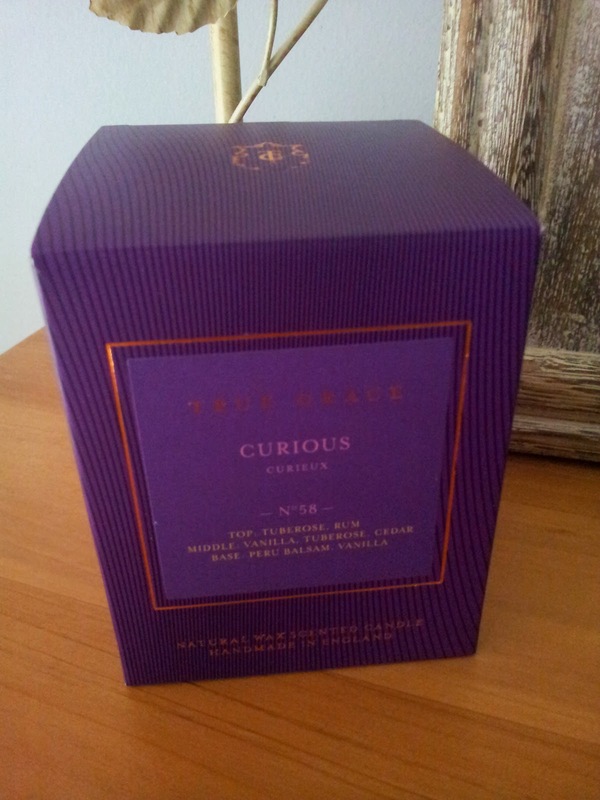 True Grace create the most amazing home fragrance and perfumes here in the UK. Each of their fragrances are created with a vast knowledge of notes, how they work with others and with a story in mind - I have to say that I did absolutely feel the scent that came from the candle did invoke some memories or emotion in the same way aromatherapy does. Then again I am pretty sensitive to music, flowers and perfumes. This candle as you can obviously guess is apart of the Curious range, the curious range can be described as being eccentric because it consists of notes that really shouldn't work - but do. Curious No 58 is the Curious Tuberose scent and while it's miles away from what I'd normally buy I was definitely on a whim that night. The notes include - tuberose and rum as the top notes, vanilla, tuberose and cedarwood as middle notes and base notes include Peru balsam, vanilla and balsamic. The fragrance is described as being a Tuberose floral in hot evening air. Honestly the scent for this candle throws extremely well and was sniffable (it's an official word now haha) upstairs and downstairs even when the candle wasn't burning; the packaging was so luxe and gorgeous that I really didn't want to throw the box away and I have indeed repurposed the glass jar for my nail files and bits and bobs. The scent however didn't wow me, there was a note in it that kept jarring with the others and at a guess I'm going to say the balsamic note didn't quite merge with the soft floral too great. Overall the scent was lovely but for me I really should have stuck to what I like which would have been Curious No 60 (Amber) and Sandalwood No 15. You can pick up True Grace candles and this one in particular from Selfridges (where I purchased from) HERE.